The say when preparedness meets opportunity success become inevitable, in other words, success comes to those who plan for it. A business plan is like blueprint for your business. Its almost like building a house, you have to get the architecture and plan for the house ready, the kind of material you want to use and the way we want the house to look but the slight difference is that a business is not static. Many of us think that a business plan is a piece of paper that we put together when we are starting the business and then toss aside but it isn’t. A good business plan lays out a vision of growth and the steps you need to take on how to get there. To get loans or funding from investors or capitalists you need to show a business plan. Investors or capitalists want to see a good business plan so they will know that they are investing in a business that will grow. You might be a young entrepreneur or an established market leader looking for capital investment having a good business plan gives you the chance of getting the money you need for the business. Its important to get a clearly written business plan that describe the opportunities. Investors will want to know why they will be better off investing in your business rather than another or better still leaving their money in their account. Investors will want to know what the Unique Selling Proposition (USP) for the business is and also the reason people will buy from you. If you have well written and a detailed business plan, all of these points will be conveyed very clearly to your investors so they will know they are putting their money into the right investment. We often make the mistake of thinking that a business plan can only be useful when starting a business, in case you do not know a business plan is a good tool for established businesses. As your business grows and evolves, things change, for example, the number of your employees, your yearly budget, financial targets and client targets and you will need to monitor this change and so the business plan needs to be revised as new goals are set. 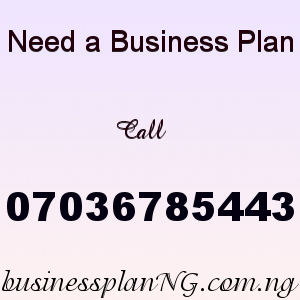 This is a very important aspect of a business plan it helps you pinpoint the best strategies to use. A good business plan helps you to know where you are and where you are going. There has to be good strategies that you will need to put in place to get you to where you want to be. A good and well written business plan helps you define what your business is all about or what its going to be over time. The clarity of your purpose should be so defined so you can a have a clear direction and description of the business and the vision of the business. A feasibility study analysis how viable or successful an idea is considering its economical, operational, technical, legal factors. Feasibility studies are used in the early stages of planning the business or project, it helps you with good insight for better decision making and prevent you from taking unnecessary risks. This is to determine the cost, viability, benefits that are associated with the business before allocating the financial resources.